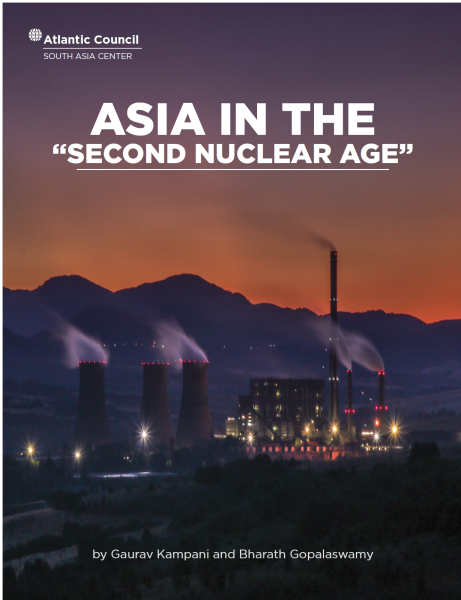 Recently Atlantic Council SOUTH ASIA CENTER published a remarkable paper on ASIA IN THE “SECOND NUCLEAR AGE” by Gaurav Kampani and Bharath Gopalaswamy. Whether one agrees with the paper or not people interested in nuclear issues cannot ignore this document. The Atlantic Council’s South Asia Center conducted three workshops in India, Pakistan, and China in the fall of 2016, with the objective of drawing academics, policy practitioners, and analysts in each country to discuss the unfolding nuclear dynamics in the region. All three workshops had a common theme: Assessing Nuclear Futures in Asia. Under this umbrella theme, workshop participants tackled three specific subjects: the general nature of the strategic competition in Indo-Pacific region; the philosophical approaches shaping nuclear developments in China, India, and Pakistan; and the hardware and operational characteristics of their nuclear forces. The first workshop was conducted in September 2016 at the Center for International Strategic Studies in Islamabad. This was followed by a second workshop in September at the Center for Policy Research in New Delhi. The third, and final, workshop was held in November 2016 at the CarnegieTsinghua Center in Beijing. Each workshop involved structured sessions with formal presentations and follow-on roundtable sessions. Notes from each session were transcribed, as everything discussed by the participants during the workshops was on the record. What stands out in these findings is that regional participants generally reject the nuclear pessimism in Western capitals. The nuclear “sky is falling” argument, they maintain, is simply not supported by the evidence, at least when evidence is embedded in its proper context. 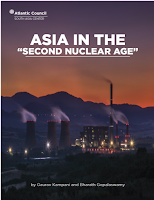 • While the first nuclear age was riven by deep ideological conflicts between two contrarian political systems that viewed the victory of the other as an existential threat, the nuclear rivalry between China, India, and Pakistan is nothing like that. All three states accept the legitimacy of the international system, to the extent that they share goals of market capitalism, state sovereignty, and multilateral institutionalism. Undoubtedly, the three states have different domestic political systems: authoritarian capitalist (China), liberal democracy (India), and praetorian democracy (Pakistan). Yet, none of these nuclear powers views the domestic political system of another as jeopardizing its own existence. • At least two among the three nuclear powers—China and India—have vast strategic depth, excellent geographical defenses, and strong conventional forces. Neither fears a conventional threat to its existence. Leaderships in both countries have a shared belief that nuclear weapons are political weapons whose sole purpose is to deter nuclear use by others. They also share a common institutional legacy of civilian dominated nuclear decision making structures, in which the military is only one partner, and a relatively junior one, among a host of others. All three factors—the structural, the normative, and the institutional—dampen both countries’ drives toward trigger-ready, destabilizing, operational nuclear postures that lean toward splendid first-strike options. • However, this reassurance does not extend to Pakistan, which—due to the lack of geographic depth and weaker conventional forces against India—has embraced a first-use nuclear doctrine. Pakistan’s hybrid praetorian system also allows its military near autonomy in nuclear decision-making. This combination of structural and institutional factors has led Pakistan to elect a rapidly expanding nuclear force that, within a decade, could rival the British, French, and Chinese arsenals in size, though not in sophistication. Evidence also suggests that Pakistan has developed tactical nuclear weapons, although it does not appear to have operationalized tactical nuclear warfare. • In the nuclear dynamic in the Indo-Pacific region, India and Pakistan are novice developers of nuclear arsenals; the weapons in their inventory are first-generation fission weapons. Likewise, their delivery systems are the first in the cycle of acquisitions. Their hardware acquisitions generate outside concern because of the scope of their ambitions. Both nations plan to deploy a triad capability. Nonetheless, this ambitious goal and the selection of technologies underline the central lesson of the nuclear revolution, which is force survival (to enable an assured second strike capability). • Force survival through secure second-strike capabilities is also China’s goal. It is the only nuclear power among the three that is actually modernizing, i.e., replacing aging delivery systems with newer and better designs. Thus far, the evidence suggests that Chinese and Indian explorations of multiple-reentry vehicle technologies are aimed at reinforcing deterrence through the fielding of more robust second-strike capabilities. This conclusion is also supported by the fact that neither India nor China has, nor is developing, the ancillary intelligence, surveillance, and reconnaissance (ISR) systems necessary to execute splendid first-strike attacks. Another technology of concern is missile defense. India’s goals vis-à-vis missile defense are still unclear, and its technical successes with the program are even less evident. 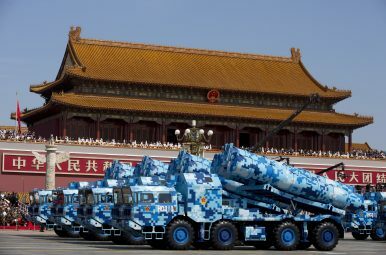 Chinese goals are similarly unclear, and appear to be exploratory means for defeating adversarial attempts to stymie its deterrent capability. • On a more positive note, neither India nor Pakistan is conducting nuclear tests to develop or improve designs for nuclear warheads. The same holds for China. · However, Pakistan is rapidly accumulating fissile material, which could increase to four hundred and fifty kilograms of plutonium, sufficient for ninety weapons, and more than 2,500 kilograms of highly enriched uranium (HEU), sufficient for one hundred simple fission warheads by 2020. · India is accumulating approximately 16.6 kilograms of fissile material annually, sufficient for a force of approximately 150-200 warheads, though all fissile material is probably not converted into nuclear warheads. · China, however, is no longer producing fissile material. It is only modestly increasing the size. of its arsenal, from 264 to 314 warheads. The size of the Chinese, Indian, and Pakistani arsenals will remain a function of the calculations of damage ratios that each believes essential to achieve deterrence. Yet, if current trends remain stable, the size of their arsenals should remain comparable to the French and British nuclear arsenals. The arsenals will be large, but will by no means approach the gargantuan size of the US or Russian nuclear arsenals. • Like other regional nuclear powers during the first nuclear age, China, India, and Pakistan might also decide to forego one or more vulnerable legs of their nuclear triad. At present, however, there are no indicators of this happening. • The nuclear rivalry in South Asia remains ominous, because Pakistan wages LIC against India via non state actors, while the latter has devised limited conventional war options to punish the Pakistani military on Pakistani soil. India has also recently hinted that it could abandon nuclear no first use (NFU) in favor of splendid first strike options. Simultaneously, however, India is backing away from its purported limited conventional war doctrine against Pakistan, on the premise that the LIC does not represent an existential threat to Indian security, and that there are other sophisticated methods for dealing with Pakistan’s aggressions that don’t involve pressing nuclear buttons. The decline in India’s appetite for limited conventional war against Pakistan, if institutionalized over time, would represent a game changer and significantly reduce the risk of nuclear war in the region. • The big difference between the first and second nuclear ages is the domestic stability of the nuclear-weapon powers. For the greater part of the first nuclear age, states that wielded nuclear arsenals were stable and boasted strong governing institutions. In Asia—while China and India represent this continuity of strong state institutions, as well as checks and balances on the military—Pakistan remains internally unstable, and increasingly unable to rein in praetorianism over national security and nuclear policy. Hardware. Serious doubts remain as to whether Indian scientists can field reliable boosted-fission and thermonuclear weapons. Even Indian nuclear observers, both scientific and military, are unable to clarify these doubts, and much controversy remains about the nature of the weapons that India is capable of fielding. Nonetheless, fewer doubts are expressed about the relative success of India’s simpler fission weapons, and even fewer about the growing sophistication of its delivery systems. Doctrine and Operations. The issue of whether India has privately abandoned NFU, or will do so soon, is an unknown. However NFU has survived at least three internal governmental reviews and is here to stay. But, there is no resolution to the suggestion that under certain circumstances—such as when there is apparent surety about an impending nuclear attack—India might decide to use nuclear weapons first. It is also suggested that even token/symbolic nuclear attacks by Pakistan could trigger a massive disarming strike from India. At the operational level technical reliability and force reconstitution are the greatest challenges. Technical reliability remains a concern because of India’s very limited number of nuclear tests. In the case of delivery systems, however, the SFC is gradually forcing the issue of a greater number of field tests for missiles under more realistic operational conditions. Force reconstitution is also considered a challenge, because the bulk of the Indian arsenal is maintained in a de-mated form during normal peacetime conditions. However new procedures allow the co-location of nuclear warheads with aircraft. In the case of ballistic missiles, warheads will very likely be mated to the missiles during emergency flushing-out routines. A small number of missiles may be kept permanently mated with warheads, to deal with a bolt from the blue scenario. The nuclear force will remain a force in progress for many years to come. Hardware. Pakistan could possibly build a total of approximately 220-250 warheads by 2025, a figure that comes close to rivaling the size of the French and British arsenals, and possibly exceeds China’s. Pakistan’s nuclear force architecture has a choice of delivery system technologies which traditionally focused on land-based ballistic missiles and aircraft, has expanded to include a sea leg. Doctrine and Operations. Unlike China and India, Pakistan is committed to an asymmetric nuclear strategy of first use. The well-known red lines include: an Indian invasion and a major defeat for the Pakistani army on the battlefield, Indian threats to major Pakistani urban centers, the severing of Pakistan’s major internal lines of communication during an invasion, or any attempts by India to internally destabilize Pakistan. These red lines are predictably vague, sufficient to keep the enemy guessing while leaving enough room for the Pakistani military to walk back from a crisis of resolve and credibility. Pakistan may initially demonstrate its nuclear resolve via token strikes against invading and isolated Indian units on Pakistani territory. Thereafter, attacks may escalate to Indian bridgeheads on the border, and area military targets critical to the invasion. Further still, attacks could encompass Indian cities, and portions of the nuclear force itself. Pakistani interlocutors have no convincing explanations for their military’s presumptions about India’s graduated escalatory behavior. · Why do they believe that India would necessarily follow Pakistan’s token demonstration shots with mimicry? · How would Pakistan react to a massive Indian nuclear attack to any token nuclear attack by the Pakistani military? · How would Pakistan retain escalatory dominance during the course of a nuclear conflict? · How could Pakistan be confident of attacking Indian nuclear forces in the course of escalation, without the requisite ISR capabilities? · How might Pakistan resolve the use-them-or-lose-them dilemma for forward-deployed tactical nuclear weapons, subject to accidental or deliberate conventional attacks by an adversary? Few in Pakistan are publicly willing to explain how Pakistan proposes to operationalize tactical nuclear warfare, in light of the collateral damage from such weapons and the command, control, and logistical challenges they pose. Nor is evidence shown to back up the Pakistani military’s claims that its tactical battlefield capabilities are more than paper exercises and staff planning. India is veering around to the consensus that the LIC does not constitute an existential threat to its security. India believes that she ought to pursue multiple foreign policies to deal with Pakistan’s civil and military establishments. Successive Indian governments also appear to have quietly concluded that escalation to a conventional counterattack against Pakistan could end up in self-defeat. There are other sophisticated options available to India, including covert attacks using special forces, diplomatically isolating Pakistan and legal sanctions through the United Nations. China and India lack real-time ISR capabilities, which are the key to successful first strikes. Pakistan’s tactical nuclear-weapons program is dangerous for safety and security reasons, and also because it is the surest route to escalating conventional war to the nuclear level. However, Pakistan does not appear to have operationalized its tactical nuclear-warfare plans yet. The greatest threat in the region comes not from the development of large, sophisticated, and diversified nuclear arsenals, but from the continued stability of the institutions guarding them. In the last four decades, the Pakistani deep state’s pursuit of LICs in Afghanistan and India, via the vehicles of radical jihadi non state actors, has produced terrible blowback effects on Pakistan itself. Both the Pakistani state and civil society have become the targets of brutal terror attacks. Some of the attacks have occurred, with insider help, on sensitive military bases where nuclear weapons are likely stored. The possibility that Pakistan’s nuclear weapons could be stolen—or that schisms in Pakistan’s military might cause nuclear command-and-control failures—is not as fantastic as it once seemed. In a major breakthrough, China has unveiled a formidable new high-altitude drone that could give its military a significant advantage. Designed to operate in “near space,” 12.5 miles above sea level or higher, China’s new drones can break through air defenses, avoid radar detection, and collect valuable intelligence while staying well beyond the range of anti-aircraft fire. Operating at these heights has been a challenge that has long eluded engineers. Dubbed a drone “death zone” as the air at this elevation makes it difficult to generate lift and extremely low temperatures cause electrical equipment like batteries to fail. For decades, minimal deterrence, de-mated nuclear warheads, and a no-first-use pledge have formed the bedrock of China’s nuclear posture. China’s conventional deterrence posture, in contrast, has been characterized by war-fighting, pre-emption, asymmetry, and the development of offensively configured conventional capabilities. Recent evidenceindicates that these postures are far more integrated, flexible, and dynamic than Beijing’s official rhetoric suggests, and that during the past decade a de facto shift toward a limited nuclear war-fighting (or the use of nuclear weapons for victory denial purposes at all stages of warfare) posture has already taken place. 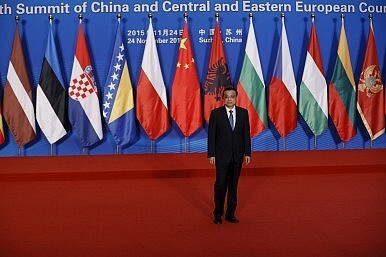 It is that time of the year again when optimism about new investment in Eastern Europe is thick in the air. Expectation are high as the sixth “16+1” meeting will take place in Budapest this upcoming Sunday. Launched first in 2012, the “16+1” Cooperation Framework includes 16 countries in Central, Eastern, and Southeastern Europe. This regional approach brings together a very diverse group of countries between the two seas, from the Baltics to the Balkans. The J-20 all-weather stealth jet fighters – the People’s Liberation Army Air Force’s ace warplane aimed at grabbing air supremacy – are one of the few fifth-generation fighters said to have entered service among the world’s militaries. WASHINGTON – The bi-annual Zapad military exercise, jointly run by Russia and Belarus, was closely watched this September by Western nations. And while there were some concerns that the movement could be a cover for aggressive action from Moscow, the exercise was completed without incident – and for those outside the region, largely faded from memory. 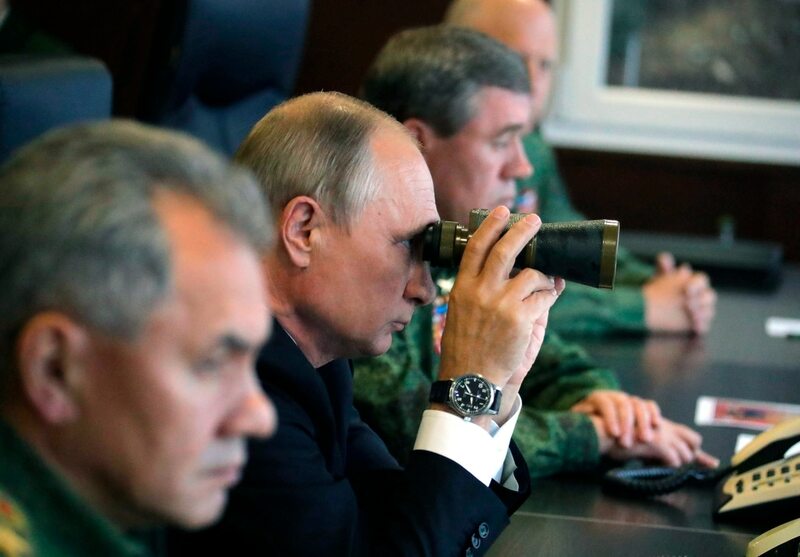 But for close NATO watchers, and especially the Baltic nations and Poland, seeing Russian forces operating up close provided some interesting threads to follow in the coming months. The bi-annual Zapad military exercise, jointly run by Russia and Belarus, was closely watched this September by Western nations. And while there were some concerns that the movement could be a cover for aggressive action from Moscow, the exercise was completed without incident – and for those outside the region, largely faded from memory. The fifth edition of the 2017 Global Terrorism Index has recorded a total of 25,673 deaths due to terrorism around the world last year. As grim as that figure is, it represents a 13 percent decrease in deaths between 2015 and 2016. Afghanistan, Iraq, Nigeria, Syria and Pakistan accounted for three quarters of the death toll, even though five of those countries (Iraq is the exception) recorded a reduction in deaths since 2015. The weather seems to be getting wilder and fiercer. From devastating hurricanes in the U.S. and the Caribbean, to raging wildfires in California and ruinous floods in India, the human and economic toll of extreme weather events is enormous. Each time an extreme weather event causes significant loss of property and loss of life, a natural disaster is recorded. 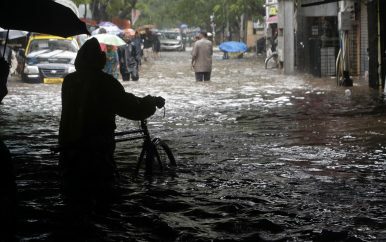 Natural disasters are a particularly important risk to small, lower income countriesbecause they can quickly wipe out a significant portion of their GDP. For decades, the IMF has been committed to helping meet member’s post-disaster needs. Will these needs increase with climate change? In other words, will climate change bring more frequent weather-related natural disasters? Based on our analysis in Chapter 3 of the October 2017 World Economic Outlook, the answer is yes. Nevertheless, the success of Sophia as well as other humanoids in activities ranging from shop floor management to complex jobs—sometimes doing tasks better than humans—is a testimony to the disruptions happening with technological advancements. 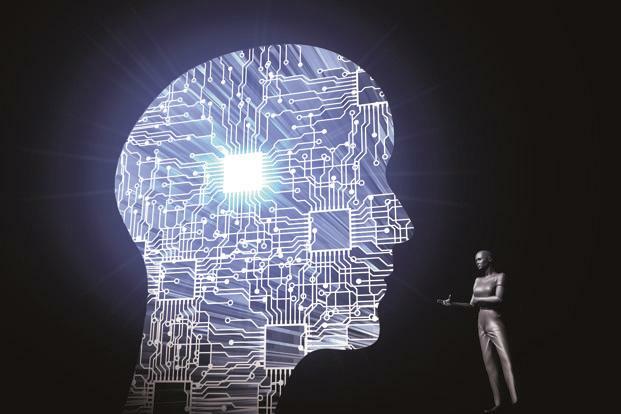 Meanwhile, even though the popular perception is that AI is only going to be a job killer, reports also say that 2020 onwards, AI will start adding more jobs than it would take away. According a report by research firm Gartner, Inc., AI will create 2.3 million new jobs while eliminating only 1.8 million jobs in 2020. Google, Amazon, or Microsoft: which cloud is right for your AI? Instead of installing new software at considerable expense, or beginning the lengthy process of developing your own solution, today your company, or you as an individual, can access APIs readily made in the cloud to do your heavy lifting for you. 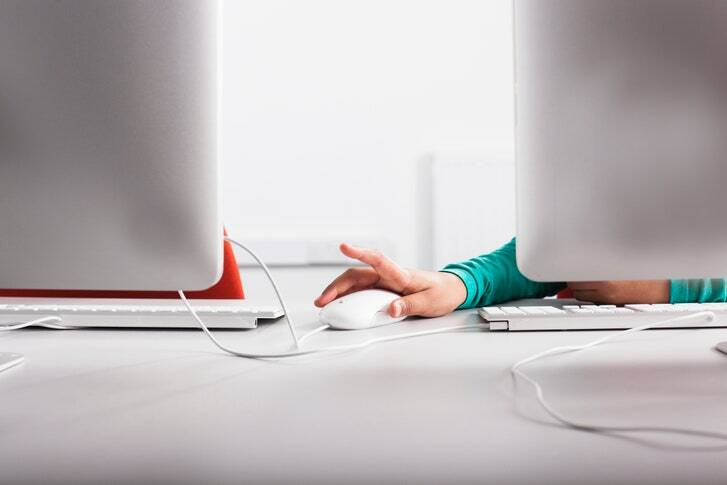 Cyberwar is our era's Cuban missile crisis. We need to de-escalate, now. Buffett, who describes himself as a cyberthreats neophyte, was echoing the concerns of government officials and national security experts going back at least five years. The nation finds itself in a situation comparable to the Cuban missile crisis of 55 years ago, a 13-day confrontation between the United States and the Soviet Union over the deployment of Soviet ballistic missiles on America’s doorstep in Cuba, which followed American ballistic missile deployment in Italy and Turkey. This confrontation is often considered the closest the Cold War came to escalating into a full-scale nuclear war. November 18, 2017: During the 2016 American presidential elections there were charges of Russian interference in the campaign. That led to an unprecedented investigation into the use of social media like FaceBook and YouTube by foreign nations. Not surprisingly (to those who remembered Soviet Cold War intelligence operations) if was found that Russia was covertly using American social media for a lot more than trying to influence the outcome of elections. More familiar to cold war veterans was the Russian use of social media to influence American public opinion of the U.S. military and the effectiveness of new weapons. Case in point was the source of many (hundreds or more) videos posted on YouTube implying that the new American F-35 stealth fighter was a failure. As the F-35 entered service in 2016, especially in foreign air forces (like Israel) the pilot reports (very positive) were at odds with all this social media videos (very negative.) This was apparently a classic Russian application of dezinformatsiya (disinformation) to try and discourage public support for continuing to develop and build the F-35. It also made the embarrassing (not going well) Russian effort to develop the Su-57 stealth bomber.